Improved heart health, lower blood pressure, increased metabolism, stress relief, extra energy – the benefits of running and boosting your cardiovascular fitness are plentiful and, happily, running delivers them all. It also ups your VO2 max – the maximum amount of oxygen you can utilise during exercise – which is generally considered the best indicator of cardiovascular fitness. ‘To raise your VO2 max, I strongly believe you have to hang out at your VO2 max,’ says Meliniotis. ‘That means more tempo runs.’ For the uninitiated, a tempo run is a ‘comfortably hard’ pace you can just about maintain for 20 to 30 minutes. ‘Tempo runs raise your anaerobic threshold and improve running economy at speeds slower than tempo, such as marathon pace.’ If you’re a fitness beginner, improvements to your VO2 max will come relatively easily with sustained aerobic. exercise, such as running. The higher your VO2 number, the more oxygen you get to the muscles, and the faster or longer you can run. Running has long had a rep as an almost magical form of exercise that will melt away any fat you’re looking to lose, and it’s largely true – at first. When you’re new to an exercise, your body responds to a lower level of stress, meaning you may not have to run very far or very fast to see results. Then your muscles start to adapt and, as with any workout, you have to progress your running routine to keep seeing the benefits of running on your waistline. Not only will you blast more calories in less time, but a recent study in Medicine & Science In Sports & Exercise found that interval workouts may even encourage more mindful eating. Want to make gains as well? You’ll need to complement your runs with strength and conditioning sessions, too. Get this: a 2018 study by West Michigan University showed that half an hour of running at a fairly high intensity improves your ‘cortical flicker frequency’ threshold, which is associated with your brain’s ability to absorb and process information—so the benefits of running extend to brain boosting powers, too. The runner’s high – that euphoric feeling that makes you want to run forever – may seem far off when a passing car has just drenched your favourite Lululemon leggings in dirty puddle water. But it’s real – and it isn’t only caused by endorphins. A study in the Proceedings Of The National Academy of Sciences points to endocannabinoids, chemicals in your body that promote relaxation, as the source. ‘Runners at all levels can experience this super-neurological phenomenon,’ says Dr Je Brown, chief psychologist for the Boston Marathon. As well as providing the highs, the benefits of running can combat the lows. Princeton University research found that running produces new neurons in the hippocampus – a region of the brain shown to regulate anxiety. The science? ‘Aerobic exercise activates an enzyme in your muscles that clears a substance called knyurenine from your bloodstream,’ says Martynoga. ‘This is great, because a build-up of knyurenine in the brain has been linked to stress-induced depression.’ Noted. Pick any weekend in the calendar and you’ll find a race to run somewhere in the UK. Parkrun now boasts over three million runners in 20 countries clocking 5K every Saturday. Races have become more inclusive, too, says sports psychologist Dr Ariane Machin. ‘When I was younger, only “good” runners raced. Now it’s not just about performance, but the experience and having fun.’ Cue relays, zombie runs and obstacle races – there’s something for everyone. Fancy a run-cation? More women than ever are building their travels around races in beautiful locations. The Dubai Marathon takes place on 25 January 2019, while Lausanne on the shores of Lake Geneva will host the 31st edition of the ITU World Triathlon Grand Final in 2019. Having just been named the Swiss wine capital, it’s the perfect place to reward yourself with a postrun Merlot. Speaking of wine, Lanzarote’s Club La Santa sports and fitness resort hosts wine runs through the Le Geria wine district – with tastings en route – along with an annual run challenge every November comprising four races in four consecutive days. Haven’t booked your trip around race dates? No problem. You can scout out sweet trails others have already run on apps like Runkeeper and Strava. Now you’ve read up on the benefits of running, get kitted out with this rundown of running winter gloves or why not try a running backpack for that morning commute. Bothered by bloating? The answer may be on your plate. Like shin splints and IT band tightness, gastrointestinal distress can be an unwelcome—yet common—part of the sport for many runners. But a new study suggests that a certain type of diet may help. Recently published in the Journal of the International Society of Sports Nutrition, the study looked at exercise-related GI issues and the potentially beneficial effects of the low fermentable oligosaccharide, disaccharide, monosaccharide, and polyol (FODMAP) diet. Past research has shown benefits of a low FODMAP diet for those with irritable bowel syndrome (IBS), so researchers wanted to see whether it could help healthy athletes, too. FODMAPs are short-chain carbohydrates—found in many legumes, grains like wheat and rye, lactose-containing dairy, fruits high in fructose, vegetables like onions, some nuts, and artificial sweeteners—that are poorly digested and absorbed. Why Am I Bloated and How Do I Get Rid of It? That’s not always a bad thing: Considered dietary fiber, these carbs rocket toward the end of your intestine, where the majority of gut bacteria are. The good bugs in your belly use these carbs for fuel, but much like any fuel processing, there are by-products, like gas. For some people, such as those with IBS, certain high-FODMAP foods create digestive issues that can become chronic, such as bloating, stomach cramps, and pain. Researchers looked at 16 volunteers who were given either a low-FODMAP or high-FODMAP diet for seven days, followed by a week of whatever they wanted to eat, and then one week on whichever FODMAP diet they didn’t have initially. They rated not only their GI symptoms, but also their perceived ability to exercise. The researchers found that a low FODMAP diet significantly improved running-related GI symptoms in 69 percent of the people. 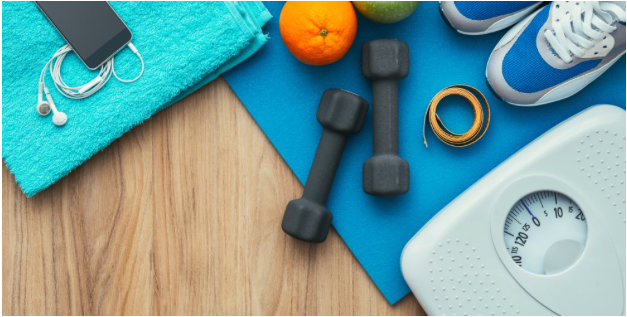 Overall, the participants reported significant improvements in exercise frequency and intensity on the low-FODMAP diet, leading researchers to conclude that following that diet could reduce exercise-related and IBS-related GI symptoms. Study co-author Justin Roberts, Ph.D., at the Cambridge Centre for Sport & Exercise Sciences told Runner’s World that previous studies have indicated high-FODMAP diets may lead to undigested carbohydrates fermenting in the GI tract, which can cause digestive distress. Reducing those foods, even in the short term—such as a few days leading up to a long run or a race—may reduce risk of symptoms. But, he emphasized, the benefits are likely to be highly individualized. Interestingly, he added, switching to a low-FODMAP diet may help your brain as well as your belly. “We found that people reported improved perception of exercise, which may be important during sustained training periods,” he said. Obviously, some of the foods on the FODMAPs list are super healthy, like probiotic-packed yogurt, for example, or whole grains. Also, Roberts noted, there’s a potential trade-off for the benefits. So, as long as you’re getting your carbs and calories right, and seeing low-FODMAP eating as part of your run or race prep, it can be a helpful way to tame those digestive dilemmas. Jaber said researchers must now convey the risks to the general population that “being unfit should be considered as strong of a risk factor as hypertension, diabetes and smoking — if not stronger than all of them.” “It should be treated almost as a disease that has a prescription, which is called exercise,” he said. Researchers retrospectively studied 122,007 patients who underwent exercise treadmill testing at Cleveland Clinic between January 1, 1991 and December 31, 2014 to measure all-cause mortality relating to the benefits of exercise and fitness. Those with the lowest exercise rate accounted for 12% of the participants. Jaber said the other big revelation from the research is that fitness leads to a longer life, with no limit to the benefit of aerobic exercise. Researche rs have always been concerned that “ultra” exercisers might be at a higher risk of death, but the study found that not to be the case. Comparing those with a sedentary lifestyle to the top exercise performers, he said, the risk associated with death is “500% higher.” “If you compare the risk of sitting versus the highest performing on the exercise test, the risk is about three times higher than smoking,” Jaber explained. Get CNN Health’s weekly newsletterSign up here to get The Results Are In with Dr. Sanjay Gupta every Tuesday from the CNN Health team. https://www.virtualpaceseries.com/wp-content/uploads/2018/04/people-2592247_960_720.jpg 635 960 VPS https://www.virtualpaceseries.com/wp-content/uploads/2016/12/VPSlogo-copy.png VPS2018-10-19 18:22:072018-10-19 18:22:07Not exercising worse for your health than smoking, diabetes and heart disease, study reveals. Runner’s stomach can slow you down so eat these foods to keep up your pace! Runners’ gut or runners’ stomach is a well-known phenomenon in the world of running. From mid-run stomach aches and bathroom breaks to other gastrointestinal complaints, athletes can be plagued with exercise-induced stomach problems. Nausea is also a common symptom among runners. People who engage in intense workouts like high intensity training, marathons, long distance cycling and triathlons are at greater risk for nausea that is brought about by exercise. People with a history of acid reflux (also sometimes called Gastroesophageal Reflux Disease or GERD) are at an even greater risk due to excessive pressure on your core. It can also be caused by other things like irritable bowel syndrome and other factors such as climate conditions, duration and intensity, type of exercise and hydration status. This nausea can also occur if you start and stop running too quickly, which makes it important to slowly ease your pace down when coming to the end of a run. In some cases, this nausea may result in vomiting if relief is not sought. Slow and deep abdominal breathing can help as well as the application of a cool compress on the back of your neck or forehead. Below are some foods that can help prevent or ease symptoms of exercise-induced nausea. Foods such as pretzels and crackers can help absorb stomach acid, which can ease stomach upset and nausea. Grab a handful of pretzels or white saltine crackers about 30 minutes before your run. Ginger is a well-known ailment for stomach upset. It may work to relieve nausea in the middle of a workout as well. Grab some ginger snap cookies before a workout. This gives you both a carbohydrate benefit as well as the anti-nausea benefit of the ginger. You can also carry ginger candies on your run to pop one in your mouth if you feel a bout of queasiness coming on. Some people experience nausea while running because their glycogen stores are low. Complex carbs like whole grains may help by slowly release energy into your body and bloodstream, which can help to keep your appetite satisfied. Nut butters like peanut, almond or cashew may help reduce nausea if eaten in small portions due to their sodium content. Be careful not to eat too much as it can upset your stomach before exercise. Coconut water offers hydration and electrolytes. Dehydration and electrolyte loss (often due to sweat) can both lead to feelings of nausea. Coconut water offers sodium, potassium, magnesium, phosphorus and calcium. The holidays are around the corner and it’s time to start thinking about gifts for all of your friends that love running as much as you do. Finding the perfect gift can be difficult, which is why we’re here to help! There are so many things that your friends and family may not even realize that they wanted, but as soon as they open those gifts, they will absolutely love them! Here are some gift ideas that any runner would love! Runners want to know how well they are performing during each training session so that they can work to improve during their next session. Fitness trackers make it easy for runners to track their heart rate, their speed, their distance, the number of calories they burned, and other helpful information. Fitness trackers have been getting progressively more accurate and easy to use. Every runner wants to have her favorite tunes that help pump her up and help her keep his pace. Wrestling with earbud cords while you are running can be irritating. With Bluetooth earbuds, the runner in your life can easily put their earbuds in, grab their music, and go. Bluetooth earbuds make listening to your favorite music while you are on the go. Socks are always a favorite gift for the holidays. They always make great stocking stuffers! Running socks not only make your run more comfortable, but they can also make your run more colorful. There are so many great running socks that have some fun patterns. No matter the sense of style for the runner in your life, you can find a pattern that they will absolutely love! One thing that runners need to think about is their recovering from a challenging run. One thing that can help during recovery is a foam roller. A foam roller is a great tool for runners to help them loosen their muscles and help them relax after a run. Understanding progress can help any runner reach their fitness goals. Journals can help runners keep track of their progress and their nutrition so that they can understand how their body has improved based on their fitness schedule. Find a fitness log that has everything that the runner in your life needs to track their fitness. One way of letting the runner in your life know how much you appreciate them is to actually run a race with them. Also, sometimes it’s nice to get a little gift for yourself. A virtual race is a great way of making that happen. With a virtual race, you can run together wherever you want to at your own pace. You can do them wherever is most convenient for you. There are so many races and medals to choose from so you can choose the perfect race that you know you both will enjoy doing together. When the weather begins to change, it can be tempting to stay indoors instead of going and running outside. But, just because the thermometer has dropped does not mean that you cannot enjoy the outdoors when you want to go for a run. Here are some tips to help you enjoy your run when it’s colder outside. Look for shoes that have the least amount of mesh. Also, be sure to wear socks that wick away your sweat, but will still keep your feet warm. This will help ensure that your feet stay warm and will keep any snow or slush out. If you are running in colder weather, the general rule is to dress as if it were 20 degrees warmer. Be sure to dress in layers, so if you do get too hot and sweaty when you run, you can begin to shed layers. Also, it may be a good idea to remember to wear a scarf or mask to keep your face warmer when you are running. Cold air tends to also be very dry, which can cause breathing issues. It’s easier to get started on your run if you have warmed up beforehand. Before you start your run be sure to do some stretching and some light jogging. This will help you stay warm while you are running and will keep you feeling great throughout your run. Even in the colder weather, it is important to stay hydrated and make sure that you are getting plenty of water while you run. You may be losing as much fluid in the winter as you do in the summer, so it’s important to make sure that you always have an insulated water bottle on hand while you run. Unfortunately, during winter, the sun sets much earlier in the day, which means that there are fewer daylight hours to actually go for your run. It is important that if you are running during darker times, that you wear something that ensures that can be seen by others. Make sure that you wear clothing that is reflective and stay in well-lit areas. It also may be a good idea to wear a headlamp. Once you are done with your run, take a warm shower and change into warm clothes. This will help you recover easily from the winter cold. A warm beverage such as a hot cup of coffee or tea can warm your body up and help you recover quickly. It’s important to train before your virtual race, which can be more difficult during the winter months. If you are training for a winter virtual race and you cannot stand running outside during colder weather, you can still complete the race wherever you want including a treadmill. Find what works best for you and your training habits. If you haven’t signed up for your first virtual race, it’s time that you did! There is no better time than now to start racing. Signing up for a 5K or 10K race that you complete in your own time is easy. In fact, it takes minutes to do and makes you eligible for a finisher’s medal just like the one you’d receive at a sponsored event you attended in person. Developing a winning mindset can help you overcome the challenges you face with your first virtual race. It helps you adapt and conquer the terrain you’ve chosen to race on. If you have a time in mind that you’d like to beat, you can set a goal for yourself. The thing about virtual racing is that you do it on your own terms, when it’s convenient for you so timing yourself isn’t necessary. Pride yourself on having the courage to start. For many people, running a race is a dream that they’ve had for a long time. Unfortunately, for some men and women, time constraints or life events prevent them from joining their friends, family members or work colleagues in an organized race. Having the opportunity to race on your own is incredible. It’s something that not everyone can do alone. That’s why you should be proud of your decision to start. Know that you are strong and resilient. Your body is capable of doing things you’re not even aware of. Keep this in mind when you start to tire or feel like giving up in the middle of your race. It’s okay to run and walk. Virtual races give you greater flexibility. You can even ride your bicycle or take your dog for a walk and have it count toward your 5K or 10K total. The point is to finish what you’ve started because you are strong and capable. Listen to uplifting music or your favorite podcast. This race is all about you! Why not put yourself in the right mindset by listening to music that you love or a podcast that you’ve been meaning to check out? You’ll be amazed at how quickly time passes when you’re doing something fun. Your virtual race can be customized however you see fit. The only thing we advise is that you do it when it is light out and that you remain aware of your surroundings throughout the duration of the race. We want you to put your personal safety first. A virtual race provides you with the opportunity to discover new strengths about yourself. It allows you to complete a 5K or 10K race at your own pace and on your own schedule. Virtually racing builds strength in your body and character while providing you the opportunity to support charities and causes that matter to you.